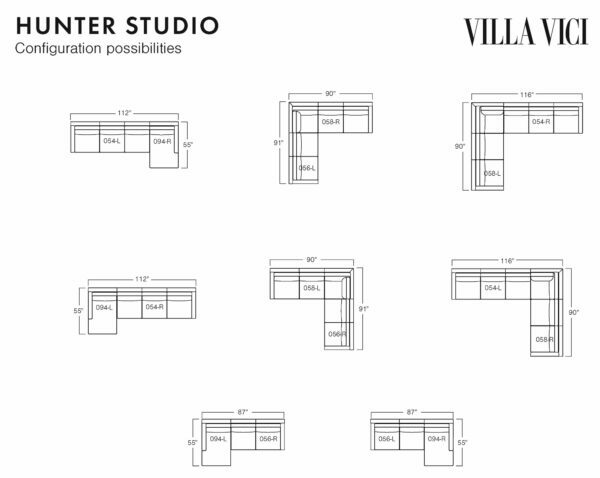 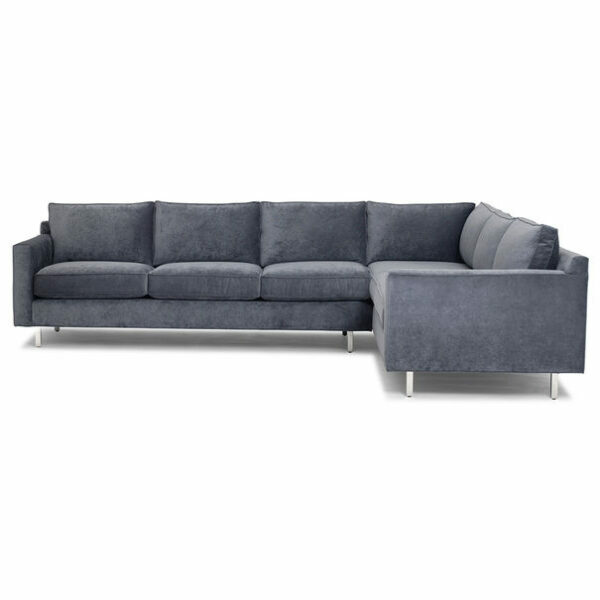 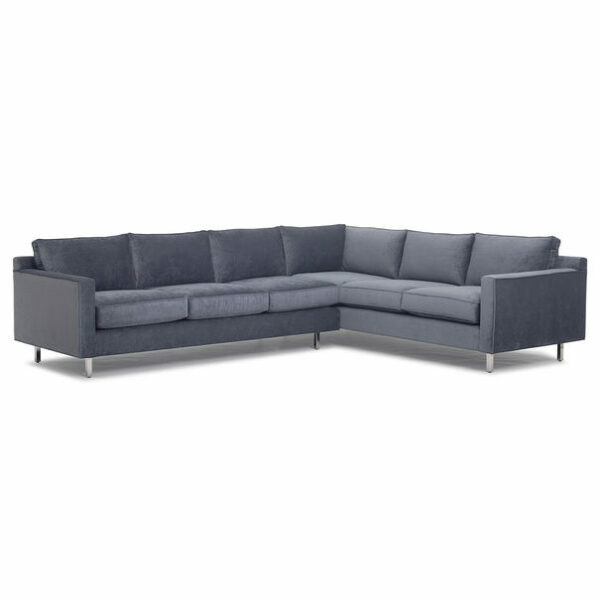 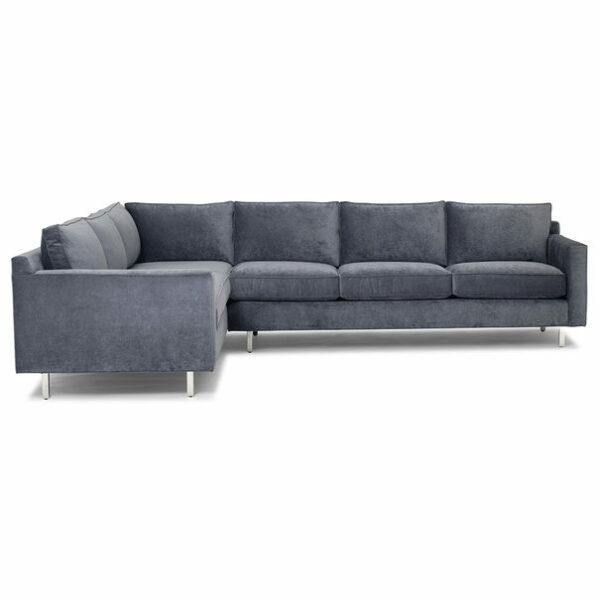 Designed to save space while giving the same signature comfort as the larger-scale Hunter Collection, the Hunter Studio sectional has a low & lean silhouette sized for urban environments or wherever you need a more compact footprint. It offers a very comfortable sit in classic modern style. The configuration shown is formed from two pieces: a left arm sofa and a right arm return sofa.